Arguably one of the hippest place in Jakarta now. 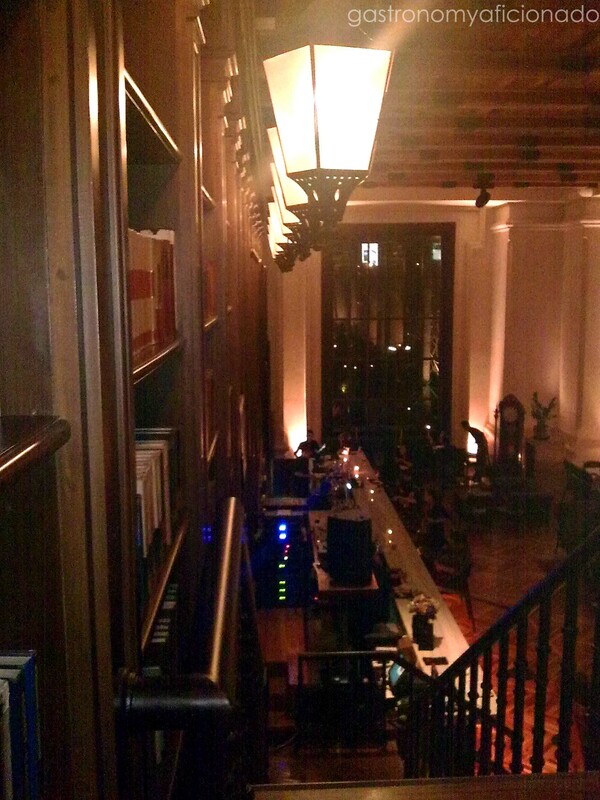 Bibliothèque is a semi formal wine and dine place with the interior elegance, a mixture between the old school library bookshelves, wooden panels, old European streets lanterns, classic style furnitures but with the touch of modern feel and cozy lighting. Also, the grandfather’s clock and the grand piano make this place even more lavish. Not to mention that live DJ are also heating up the night with cool remixes of lounge and nu-jazz tunes after 9 or 10 PM. My first visit was not premeditated. All of a sudden my friends asked me out to visit this new place for wine and dine. Even though this place resided in the premises of the lavish Sampoerna Strategic Square, I assumed that no matter how exclusive it might appear, it would be still the same like the previous places I had already visited like Social House, Cork & Screw, Pastis, or Poste. We stole our way in from the parking lot to the back entrance from inside the building when the security stopped me all of a sudden. I have always been an avid user of sandals no matter where I go. Well, as you can see, I love freedom bound activities, therefore I will always have to do everything dynamically and that can be sorted out only with casual attires. At any rate, they didn’t allow me to come in. Politely. Long story short, after several peaceful arguments, we then decided to drive me back just to fetch my shoes. This time, we came in from their front entrance. Looking good! Lavish and filled with stylish people, no wonder why my friend had to book from a week before. Judging from the trends, Jakartans will flock into new hip places like this one though that doesn’t mean that the older places will be deserted. Best to book first, that’s rule number one. So, we were seated upstairs, a bit far from the action but if you want a somewhat pristine atmosphere, you can pick the place. I recommend though to seat downstairs around just around the corner by the window. Unfortunate for us that everything downstairs was booked. Since we already had dinner, we decided to pick desserts and coffee. Well, from what I saw, in the food section they provide serious Middle Eastern cuisine and bit of Western. A good thing because most wine and dine concepts are serving Western only plus a little bit of Eastern, but certainly not Middle Eastern food like these. After I browsed through the dessert section, I immediately ordered the Baklava with Vanilla Ice Cream (IDR 39,000). As for the drinks, there’s not much action to be found in non-alcoholic section, but I picked the Hot Cappuccino (IDR 35,000). As for the rest and making the most of the pages in the menu, the alcohols! Relentlessly but politely, the waiter suggested a bottle of wine for us but since we didn’t plan to drink alcohol and certainly not me, we declined the offer but my friend asked him about several brands of wine just to keep the ‘dignity’. Well, the truth is if you come into such places, you’re gonna be expected to blend into the culture of drinking wine or even spirits or at the very least, a beer. Seeing everything around you doing that, makes you somehow tempted to do so. But let me assure you that you really don’t have to get involved unless you wanted to. Ah, I forgot about the delights we ordered before. Turned out that the Baklava was the star of the day. 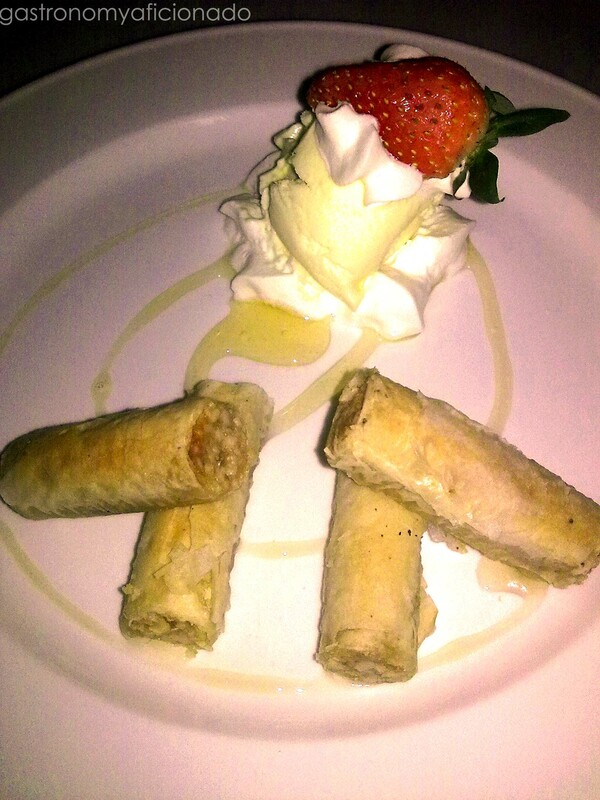 Accompanied with delicious cream, ice cream and a strawberry, the four small Baklava sticks were indeed very tasty! Classy, rich, and fully flavored, the Baklava has been the delicacy originated from Turkey centuries ago. It’s rare to find such recipes around here, therefore that’s the very reason why I picked that for my dessert. Everybody seemed to be happy after tasting my Baklava and of course myself. You’ll crave for more since they only serve you little for quite a price. As for the coffee, it’s pretty much the same but they provide you with cube sugar, brown sugar, and simple syrup to be added to your coffee according to your taste. A comfortable night we had, but until they made the lamps less illuminated, the atmosphere upstairs became darker and less pleasant but you can ask for a candle to be lit in your table. On the contrary though, it’s still pleasant downstairs. Lucky that the DJ played some good music. Well, let’s wrap it up. The place was indeed classy but somehow doesn’t have the balanced composition regarding the exterior if you comprehend what I argued earlier. The service was excellent too, the waiters have been helpful and most of all, they don’t allow casual or sandals. Well, that’s a problem for me but it’s pretty understandable judging from the place. The dessert was excellent but not with the coffee. I assume that the main dishes would be excellent as well. They don’t use foreign chefs, but since the dessert was tasty then it’s quite safe to assume that they keep such quality for the rest. This place also fit for a romantic dinner though it gets less romantic on Friday and Saturday (closed on Sunday) because of the crowd, but it’s indeed a good place to spend time with your friend. The same trick Jakarta’s similar joints have in their sleeves. No matter how lavish it may seem, it gets colder upstairs. Downstairs may be different. Indeed the music helps to ease that feeling but you gotta speak louder. Helpful and ready at all times around you though sometimes we want some privacy or just equipped us with a buzzer to call them. Next time, I’ll be sure to check the main dishes. 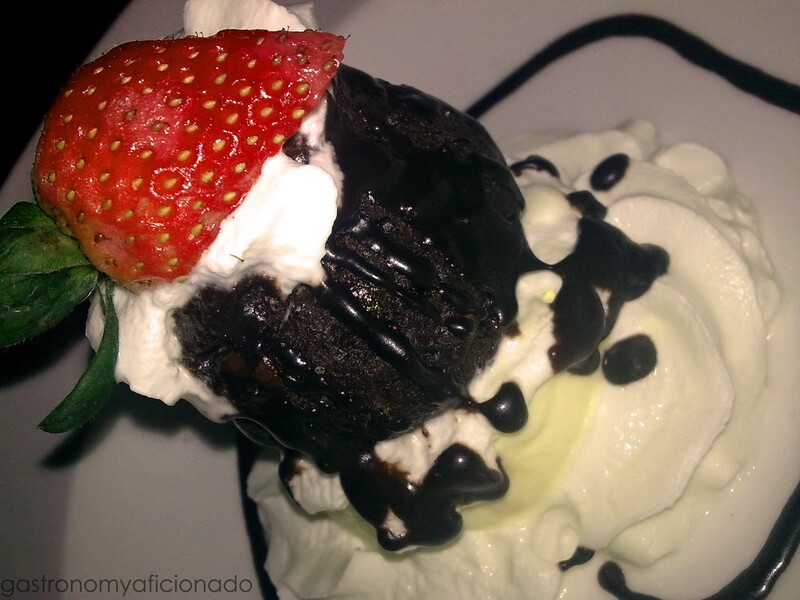 As for the desserts, they’re heavenly! Hello, nice day.. Your content is extremely uplifting. I never imagined that it was feasible to carry out something like that until after I read your content. You definitely offered a great perception on exactly how this kind of whole scheme performs. I will always return for more information. Keep it up!